SL46B is the ideal solution for most window display environments with flexible features and high brightness. 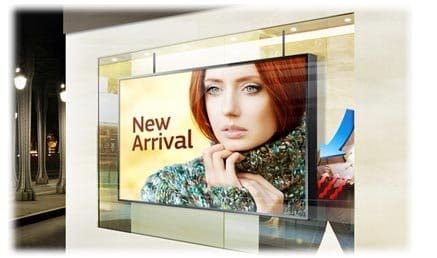 As demand grows for outdoor digital signage solutions, manufacturers continue to innovate and improve the way that SMART signage features and construction withstand fluctuating environmental conditions. Samsung outdoor LFDs are built to last, offering innovative technology, streamlined design and sturdy construction. 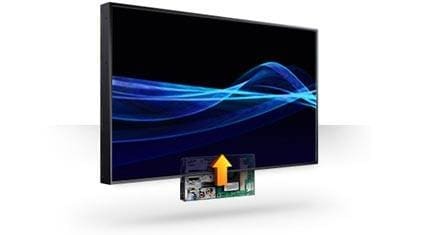 With high-brightness, high-contrast screens designed to meet the demands of harsh outdoor environments, Samsung outdoor LFDs are suitable for virtually any digital signage application. With their narrow bezel, the Samsung SL46B can also be linked together to create an almost seamless video wall. The panel on Samsung Semi-Outdoor LFDs are highly bright for clear image and enhanced readability.Samsung LFDs are much brighter than conventional screen and deliver excellent visibility even under the brightest lighting conditions.With sharper vivid more vivid images your messages will attract more attention and break through the clutter. With Samsung’s innovative technology your message can be displayed 24 hours a day, 7 days a week. The Samsung Semi-Outdoor series utilises innovative cooling technology that improves heat dissipation while lowering internal temperatures. This allows you to run the LFD for 24 hours a day over longer periods without requiring costly servicing or maintenance. Because LCD panels use a polarized film, passers-by wearing sunglasses also coated in a polarized film can’t always see what was being displayed on the screen. The two polarized films cancelled each other out. But now Samsung have developed new panel coating that overcomes this problem – allowing everybody to see your message clearly. 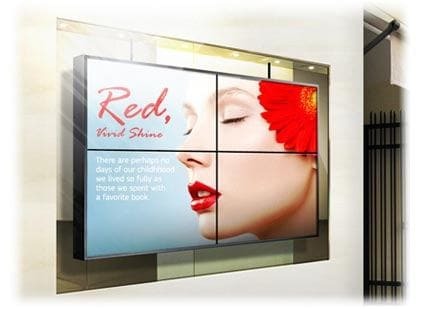 The slim bezel of just 12mm removes any distractions from your sight to provide a greater surface area, which can be useful when creating a video wall in a shop window. It allows your content to shine through with less distractions or obstructions. Samsung Semi-Outdoor LFD Full HD models are naturally eye catching and demand attention. The rich colour and dramatic depth of detail contained in the images provides the perfect platform for a high visibility, high impact digital display. In your day-to-day work it’s a constant challenge to make sure your sales or educational messages are noticed quickly, with maximum impact. With the built-in media player for your Samsung LFD, you can elevate your display capabilities more than you ever thought possible. Ensure your customers see the best across multi screens. Digital loop out produces a single image without any loss of quality, and there’s no need for a separate video signal distributor. 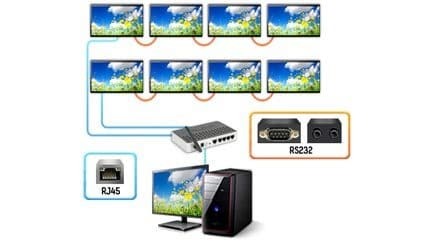 It’s easy to install and the most cost-effective way to connect multiple displays – up to an impressive 100 displays at once. The Samsung Semi-Outdoor series features an upgraded Multi Display Control solution that lets you control a large number of displays through their embedded RS232 or RJ45 interfaces. 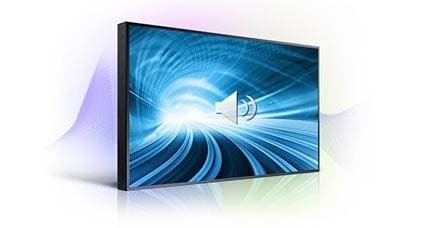 Easy and intuitive to use, you can control displays over short and long distances. Customise the content of your LFD solution with the optional Slide–in-Module (SIM) feature to meet your unique needs. 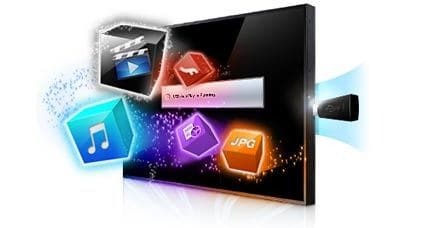 Run content from a PC quickly and easily by simply sliding the PC in and out of the display without having to dismantle the unit from the wall. 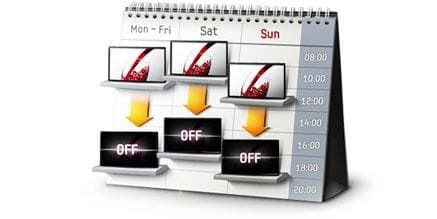 Keep your display running efficiently at all times. This Samsung LFD boasts a smart scheduling feature. The automatic power on/off function allows you to designate time, day, volume, input source and holiday dates.